Come One, Come All! Step right up and have a Ball! Rain or Shine, it’s sure to be a very good time. Join us as we celebrate at our main event of the year! Get ready for a fun filled day with a BBQ Lunch between 12:00pm – 2:30pm, followed by games, activities, bingo, live entertainment, music and much more for the whole family to enjoy. Don’t forget to bring your lawn chairs, blankets and sunscreen! 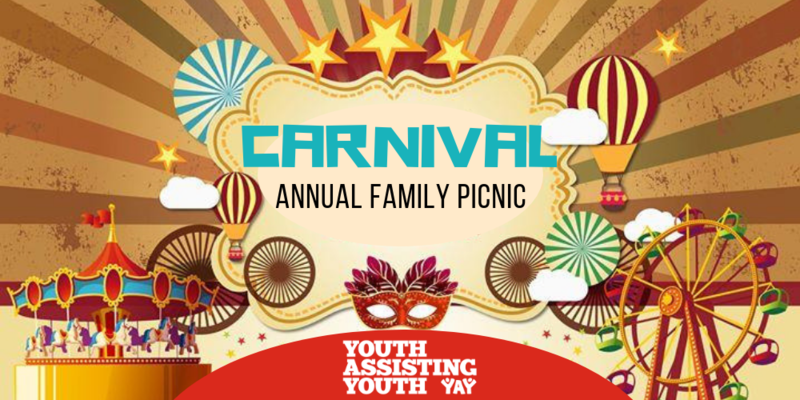 The entrance to the park is north of Eglinton Ave E. on the West Side of Leslie St.
From the Eglinton Subway Station at Yonge St.
Take the 34 Eglinton East Bus, 51 Leslie Bus or 54 Lawrence East Bus East to Leslie St.
Andre Blenman, Events Coordinator via email at ablenman@yay.org or call 416.932.1919 x 231. 1132 Leslie St. @ Eglinton Ave. E.